Inc.jet is a cutting edge industrial ink jet printer, designed to make life easier for your operators and more cost effective for your business. Package coding solutions can save thousands of pounds every year. Using thermal inkjet technology from HP means that every time you change a cartridge (and that’s a 5-second operation), you are replacing your packaging printer’s print head – no planned maintenance, no expensive external companies visiting you, no specially trained employees. We know that reliability is one of the most important aspects of your packaging processes. After all you want to spend all your time marking on your product not maintaining your packaging printers, our solutions have proven to be the most reliable and low-maintenance packaging printers available. Enter any business that runs CIJ printers and you can find them in a heartbeat – it’s where the smell comes from and the mess is. 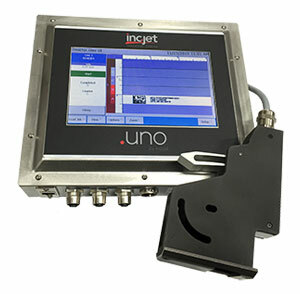 inc.jet uses a closed packaging printer system with cartridges that jet ink on demand. There is no makeup, no venting solvents and no messy inks stains on the floor. Moreover, there are significantly less VOCs present per print, resulting in a working environment that is cleaner and safer.